This film is a part of a Double Feature with Sunset Boulevard. When two movies that are screening in the same theatre are grouped under the same thematic heading, one ticket is good for both features when viewed back-to-back on the same day (except as noted). Directed by Joseph L. Mankiewicz. Bette Davis, Anne Baxter, George Sanders, and Celeste Holm. 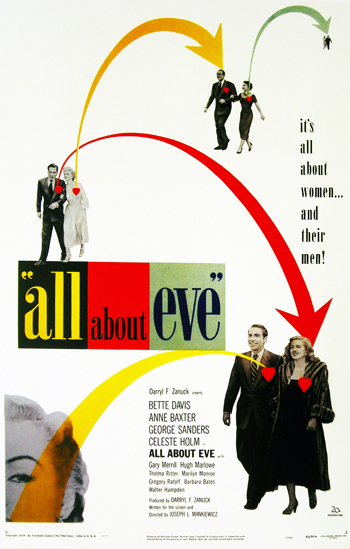 Bette Davis and Anne Baxter go head to head as an aging Broadway star and the young ingénue scheming to take her place on the throne of the Great White Way. This remarkable drama shares the record for most Oscar nominations received by a single film (a staggering 14!) with a movie about a certain “unsinkable” ship.